contributes a wealth of knowledge across the Crowdfunding and Entrepreneurial landscape. 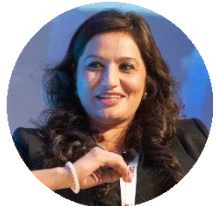 Tabassum Qadir is the CEO of Uprise.Africa. She is also the chairperson of Uprise Markets which is an authorised Financial services provider based in Johannesburg, South Africa. Being a strategist, innovator and visionary leader she believes in the future of Equity Crowdfunding in South Africa. She is the former chair of Skywise Airline that she co-founded as a 100% female owned low-cost airline in 2014. She believes in empowering marginalised stakeholders, especially women. She is a dynamic female leader with a background in diversified business operations in Africa. 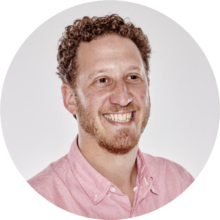 Josh is an entrepreneur and senior executive who has built, grown, and operated health & fitness, media, and technology businesses all over the world. Most recently, he was the Vice President of Global Partnerships at BrandsEye, the world’s leading opinion mining company, where he helped clients improve their customer experience. 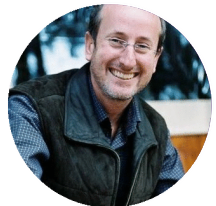 He’s an accomplished Design Thinking facilitator leading creative problem solving workshops for the Hasso Plattner School for Design Thinking at the University of Cape Town and the DesignThinkers Group. Prior to this, Josh co-founded FitKey, a marketplace for fitness classes, as well as spent six years at Marvel Entertainment as the Director of Worldwide Digital Products and Services. He earned an MBA from New York University’s Stern School of Business and is an angel investor and wine lover. David has over 22 years experience in various industries where IT has played a role. His expertise amalgamates the essence of systems analysis and design, development and leadership within the IT realm. While starting his career in aviation, he is qualified in Information Technology and come to share his knowledge and experience through consulting on various projects and levels. He is passionate about what he does, enjoying the satisfaction of success and the enthusiasm of the people with whom he works. He believes in people, their abilities and seeing their dreams become reality. Join the Uprise.Africa Team Today! We are looking for a passionate, flexible and creative Campaign Coordinator to join us in Cape Town, CBD. 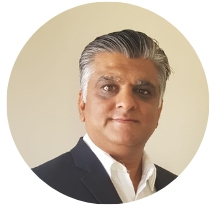 Prabir served as a Deputy Chairperson of the Government Employees Pension Fund (GEPF), Chairperson of Finance Audit Committee of GEPF and a member of the Investment Committee of GEPF. CEO of the South African Chemical Technology Business Incubator. He has previously acted as the CEO of the eGoliBIO Incubator. Palesa is a Senior Audit Manager at BDO South Africa, in Cape Town and forms part of BDO’s Innovation Forum. Co-Founder of Uprise.Africa. Patrick is a pioneer of crowdfunding in Africa & a founder of a number of companies, including Thundafund and BackaBuddy Technologies. FNB Head of Product, Wealth and Investment Management . Samukelo strongly believes in the power of a high-performance culture. 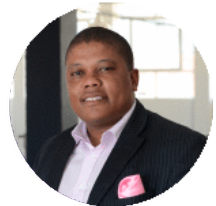 Vuyisa is a startup advisor and angel investor with investments in fintech, traveltech, e-commerce and agriculture startups. Uprise.Africa is built from the base of a network of established support organisations that provide the required regulatory, compliance and administration structures.